Making sure that you are familiar with basic golf terminology is essential for any beginning golfer. 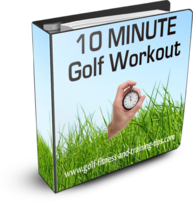 In addition to all of the complexities of performing a proper golf swing, there is a whole world of terms that you need to familiarize yourself with. Learning golf terms isn't difficult, but it will help lessen the learning curve of golf and will also be helpful out on the course. This is why I have included it as one of my beginner golf tips! Ace - Term for a hole in one. Address - When you step up to the ball and are ready to take a shot. Alignment - The position of both your feet and the club face in relation to the ball. Good alignment is essential for a proper golf swing. Approach Shot - A shot where the intention is to land the ball onto the green. Could be from a variety of distance. Away - On the green, a person is away if there ball is the furthest from the hole. This person will go first. Back Nine - Holes 10-18. Back Swing - The initial 1/3 of the golf swing, starting when the club head moves away from the ball and ending with both arms elevated and the club is behind your head. Best Ball - Team game where the best score of the two teammates is counted. Each player plays their own shots. Birdie - A score of one under par for a particular hole. Bogey - A score of one over par for a particular hole. Break - On the green, the break is the relative slope of the green and how the ball will travel due to that slope. (ex. left to right). Bunker - Another term for a sand trap. Carry - How far the ball flies through the air. Casual water - Water that naturally accumulates on the course due to rain. Not a hazard. Chip - Short shot, played from off of the green. Closed Face - When the club face points to the left of the target (right handed). Closed Stance - When your stance aims to the right of the target. Divot - Piece of turf that gets removed by your club during a shot. When you create a divot, please pick it up and place it back where it originally was("replacing"). Dogleg - Refers to the curved alignment of a specific hole, from tee to green. Double Bogey - A score of two over par for a hole. Double Eagle - A score of three under par for a hole. Only applies to par 5s. Draw - A shot that gently bend left to right, but lands on target. Driver - The longest and largest club in your bag, capable of producing the longest shots. Drop - If your ball is hit in a hazard or out of bounds, you drop your ball at a designated area and resume play. Duff - A mishit shot. Eagle - A score of two under par for a particular hole. Fade - A shot that gently bends to the right, but lands on target. Fairway - The short, trimmed grass that runs along the middle of a hole to the green. Flex - The amount that the club shaft will bend during a shot. Greater flex will generate more club head speed, but increased the likelihood of an errant shot. Flop Shot - A short shot that flies high and lands soft with little roll. Follow Through - The part of the swing, after contact is made with the ball. Fore - What is shouted to warn other players that a ball is heading in their direction. Fringe - Ring of short grass around each green. Front Nine - The holes 1-9. Green - Putting surface where the hole is located. Greens Fees - Charge for a round of golf. Ground Under Repair - Any part of the course, specifically designated, that is under repair. You may remove your ball from this area and drop without penalty. Handicap - General scoring/classification system in golf. The lower the handicap, the better a golfer. Hazard - General term for sand, water, rocks, etc. on the course. Honors - The privilege of hitting first off the tee. May be randomly decided on the first hole, but afterwards, it is given to the golfer with the lowest score on the previous hole. Hook - A shot that travels to the left, off target. Impediment - Loose debris located around your ball that can be removed. Examples: twigs, sticks, leaves, acorns, etc. Mulligan - A redo of a poor shot. Illegal according to the PGA rules. Open Face - When the face of the club is aiming to the right of the target (right handed). Open Stance - When your feet are aligned to the left of the target. Provisional Ball - A second shot played for a ball that may be lost or out of bounds (not counting water). Slice - A shot that travels to the right, off target. Stroke - A stroke occurs whenever you hit the ball. Penalty strokes can also be assessed for various reasons. Tee Box - Designated area where you attempt the first stroke of each hole. Booklegger 2012 USGA Golf Rules Illustrated Book With everything there is to know about the game, the 2012 USGA Golf Rules Illustrated is an indispensable guide and is like having a golf pro by your side at all times. Produced in association with the USGA every four years, the rules are revised and updated in an effort to adapt them to new situations known in international competitions. Only here you will find the updated complete regulations good through 2015. It comes complete with more than 100 illustrations designed to make understanding the rules even easier.